70 Treats approx per pouch. 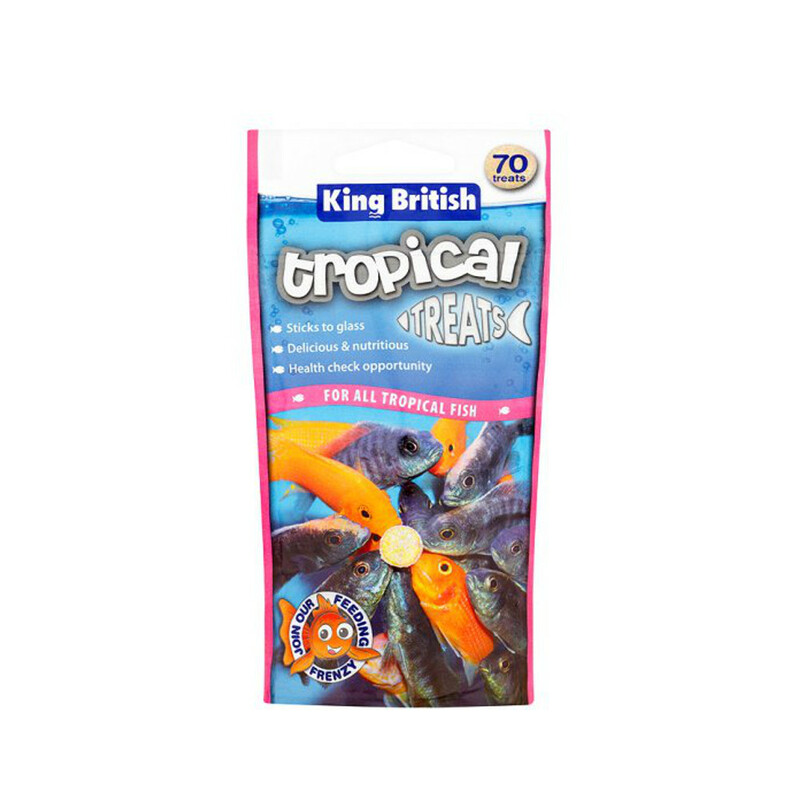 King British Aquarium Tropical Fish Treats are a fun feeding aid for your fish. These simple and easy to handle tablets are filled with enriched vitamins, minerals and trace elements. These high quality tablets keep the fish healthy and active. The treats can be stuck onto the side of the aquarium glass making it fun to watch your fish feed and bringing them closer to view and monitor for diseases and general health.